Click on any phrase to show all of the occurrences of that phrase in the first chapter of the Lotus Sutra, with direct links to the appropriate section of the text. The number in parentheses represents the number of times that phrase occurred in the text. good in the beginning, the middle, and the end. O sons of a virtuous family! several hundreds of thousands of attendants. All of the buddha worlds suddenly quaked greatly. And this world quakes in six ways. And contemplating the buddha path. And causing them to enter the buddha path. In search of the buddha path. And beating the drums of the Dharma. Of the profound Dharma to the great assembly. Possess the treasure house of the Dharma. The Dharma that I have taught! Of the essential character of all dharmas. The essential character of dharmas. Why did the Bhagavat emit this ray of light? Why is he emitting this ray of light? He has illuminated innumerable lands. That was taught by the Buddha. 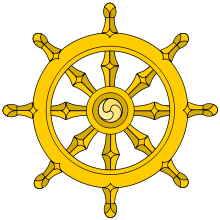 They teach the ideal of the pratyekabuddha. They teach the pure path. Will now teach the Lotus Sutra. To the Buddha and the sangha.